Timothy Young has been an animator, puppet maker, toy designer, sculptor, art director, and graphic designer. He's designed for Pee-Wee's Playhouse, the Muppets, The Simpsons, Disney, and Universal Studios. Tim is the author/illustrator of picture books including I'm Going To Outer Space!, The Angry Little Puffin, and the highly acclaimed I Hate Picture Books! 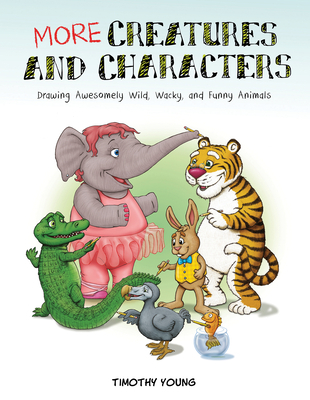 He has also illustrated books with other authors including Just One Thing! His favorite part of being an author is traveling to schools and talking to kids about his books.